It seems like no matter where you turn – social media, twitter, newspapers (yes, they do STILL exist!) or even your best friend – someone is talking about coconut oil. They may not know what they are talking about – but they are still talking! Some folks say coconut oil is “bad” while other experts tout it as the next superfood. So what’s a girl with PCOS to do? Should you go out and buy jars of it? Or should you drop it like it’s hot and hope everyone stops talking this tropical oil? Well fret not ‘cysta! The PCOS Dietitian is here to give you the 411 on coconut oil. To make coconut oil, manufacturers press the fat out from the white “meat” inside a coconut. Coconut oil consists mostly of saturated fatty acids. When most people think of the word “oil”, they think of a liquid fat like olive or avocado oil. However, due to its saturated nature, coconut oil it is actually solid at room temperature! If you have never seen it before, it actually looks pretty similar to shortening. However, thankfully it has none of the icky properties of that yucky oil! Soooooooooo … I know what you are thinking. You just heard the nasty word saturated fat and you are officially in freak out mode. Hang in there ‘cysta I have some good news that is going to blow your mind. Coconut oil’s saturated fats are primarily composed of medium chain triglycerides or more commonly known as MCTs. MCTs behave differently than other saturated fats in the body and because of this factor have a positive effect on many of the systems in the body. Warning – it’s about to get nerdy! Skip this paragraph if you just want the ‘cliff’ notes version! MCTs get their name because of the length of their chemical structure. All types of fatty acids are made up of strings of connected carbon and hydrogen atoms. Fats are categorized by how many carbons they have: short-chain fats have fewer than six carbons, medium-chain fats have between 6–12 carbons and long-chain fats have between 13–21 carbons. Why do we even care about this nonsense you ask? Well because they are smaller, MCTs get into our cells easier and are quickly absorbed. MCTs are powerhouses. They have soooooo … many benefits! 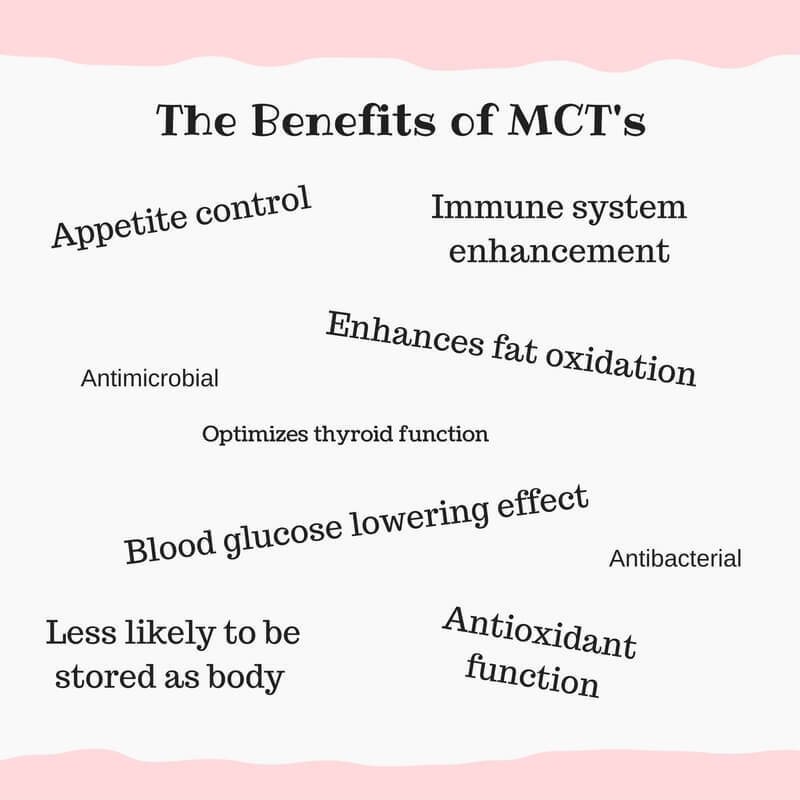 MCTs can help promote weight loss, decrease hunger, stabilize blood sugar and enhance immune and cognitive functions. Many studies also support MCT’s role in thyroid health. MCT oils have multiple benefits relating to cardiovascular health such as the ability to decrease total cholesterol as well as triglycerides. Just like everything in the food industry today, some coconut oils are healthier than others. Two types of coconut oils exist – refined and unrefined. Can you can guess which one is the healthier of the two!?! Refined coconut oil is subjected to various chemical solvents, deodorizers and bleaches. In the refining process, coconut oil is exposed to high temperatures. Many of the refined coconut oils on the market also contain trans fats. Trans fats have a negative impact on heart health. Refined coconut oil is tasteless, odorless, and no surprise has a lower nutrient content. Avoid refined coconut oil like the plague. On the other hand, unrefined coconut oil aka virgin coconut oil, extra-virgin coconut oil or raw coconut oil is unadulterated. It is minimally processed which means it has a higher nutrient content. When you open up a jar of coconut oil – it smells like it should – like coconuts! If it is does not smell like coconuts, it is likely refined. You may also hear the terms “expeller-pressed coconut oil” and “cold-pressed coconut oil.” Expeller-pressed coconut oil goes through a harsher process at a higher temperature which results in a loss of nutrients. Cold-pressed coconut oil is processed at a lower temperature and the greatest amount of nutrients are preserved. Lastly, you want to see the term “organic” on the label as well. This guarantees that the oil is not produced through genetic engineering. So, in short, look for the words organic, cold-pressed and unrefined when purchasing coconut oil. You can find coconut oil at most grocery stores, health food stores, and even some drug stores. In grocery stores you can find it in the natural foods aisle. I have also pleasantly seen coconut oil in stores like Costco, Trader Joe’s and even TjMax! Depending on the size, coconut oil can cost anywhere from $6.00 – $20.00 per jar. Make sure it is solid not liquid when you buy it. Keep it in cabinet to decrease its exposure to light or high temperatures. When the temperature is above 75 degrees – the coconut oil turns into an oil! So be careful. 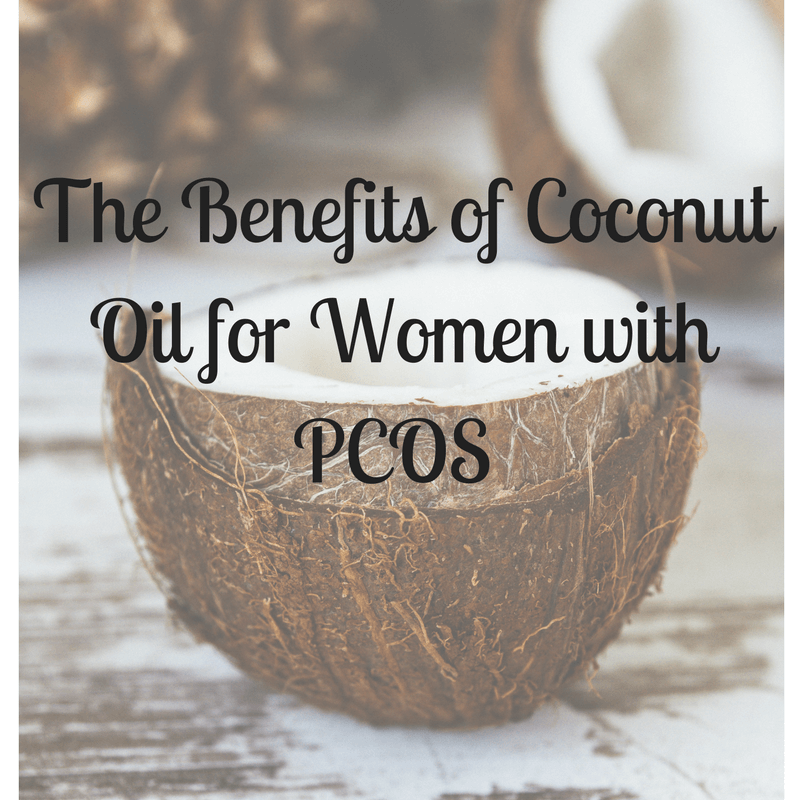 How can coconut oil specifically help women with PCOS? Unrefined, organic coconut oil has the potential to help women with PCOS in a variety of ways. Below are just a couple of the what I feel are the most important benefits. Blood glucose levels. Many women with PCOS often experience unstable blood sugar levels. This can lead to dizziness, irritability, fatigue and increased hunger. Coconut oil can help stabilize blood sugar levels. Some studies have also demonstrated that coconut oil can also have a favorable impact on insulin secretion. Double win! Helps with hypothyroidism. While thyroid issues do not soley exist in this demographic, they can nonetheless be extremely problematic in women with PCOS. Coconut oil helps improve thyroid function and speeds up fat breakdown. Weight maintenance. By nature of the syndrome, women with PCOS have an increasingly difficult time keeping the weight off. Since coconut oil is a source of fat, it can help you feel full and keep your weight at bay. Like with any type of fat, you always need to proceed with caution. Coconut oil is no exception to this rule. Every tablespoon of coconut oil is 120 calories and 13 grams of fat. These calories can add up pretty quickly! So while I sincerely believe there are some great benefits to coconut oil for women with PCOS I would urge you to use it in place (NOT in addition to!) of the fat you are using in your diet. Cooking or frying. You can use coconut oil as the base of the pan when cooking or frying your favorite dish. It is especially good in a stir-fry! Many of my patients even like it in scrambled in their eggs! Baking. You can use coconut oil in recipes to make sure your baked good come out nice and flaky. Make sure to melt the coconut oil first! Then you can use it in its liquid state to replace vegetable oil and butter in recipes. Smoothies. One of the things I often put on my patient’s meal plans are smoothies. I always like to include a source of fat into smoothies. I find that smoothies are much more satisfying with fat! While peanut butter is often my go-to choice for chocolate based smoothies, I prefer coconut oil for fruit-based ones. I recommend putting about 1 tablespoon in a small glass cup and putting it in the microwave for about 15 seconds. This will liquify the oil. Then you can add it directly into the blender when making your smoothie. Coffee or Tea. 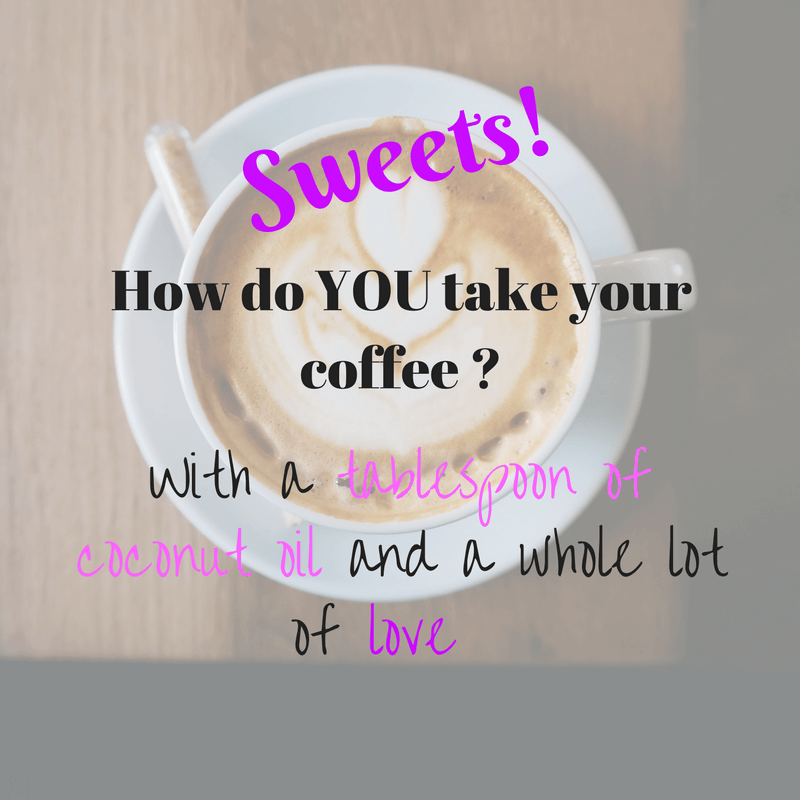 Coconut oil can make a great addition to your coffee or tea in the morning. We refer to this drink as bullet proof coffee. I know it sounds crazy but just try it! It makes the coffee super-duper creamy. Yum! 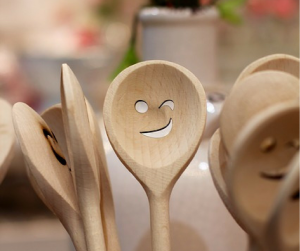 And … when in doubt – eat it by the spoonful. If you are not a big fan of cooking or baking, you can get the same benefit by eating one spoonful of coconut oil per day as you would by using it in your meals. In addition, topical coconut oil has been shown to have a positive effect when rubbed consistently on thinning hair related to PCOS. While I am only familiar with the dietary aspects of coconut oil, it seems like this often pops up in my reading. So I felt like it was fair to throw that out at you especially if hair loss is something you struggle with. So I hoped you learned a thing or two about coconut oil. 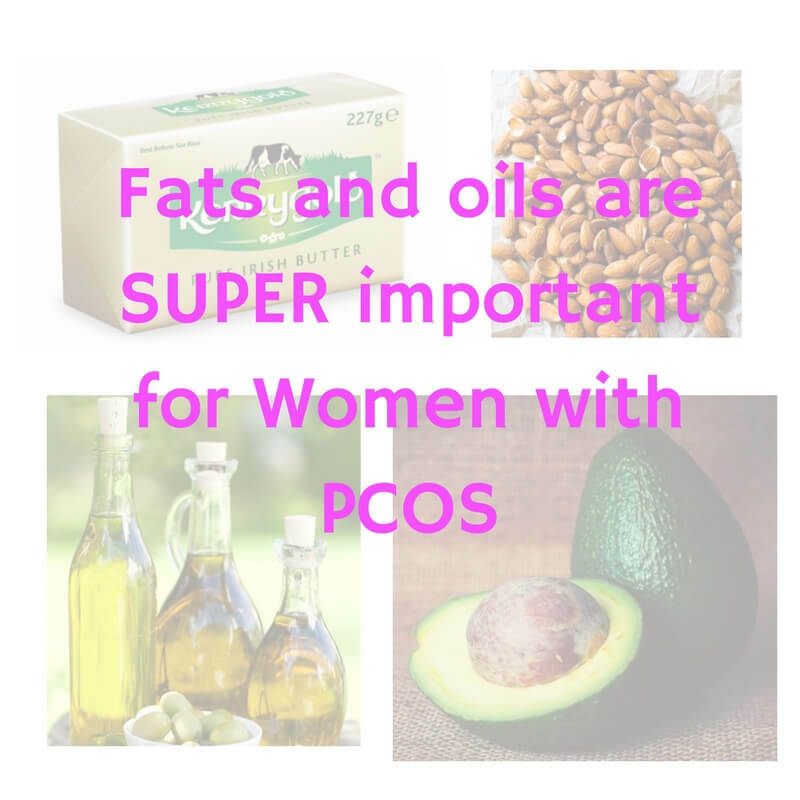 When consumed in addition to other heart health fats like olive oil, grass fed butter, nuts and avocados – coconut oil has the potential to have a positive impact on PCOS symptoms. 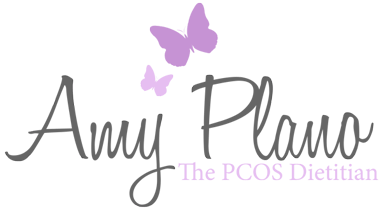 While I am by no means advocating it as a “cure” for ALL PCOS symptoms – it certainly has the potential to help with some of the major ones like dyslipidemia, hypoglycemia, elevated weight and hypothyroidism. So please give it a try – I am pretty sure you will enjoy it! And remember – always buy organic, virgin (or extra-virgin) cold-pressed if you can and skip the refined stuff! Are you a coconut oil fanatic? Do you have some fun, exciting ways to incorporate this oil into your diet? Our community would love to hear your thoughts. Please let us know in the comments below how you using coconut oil. Why Is Weight Loss SO hard when you have PCOS? 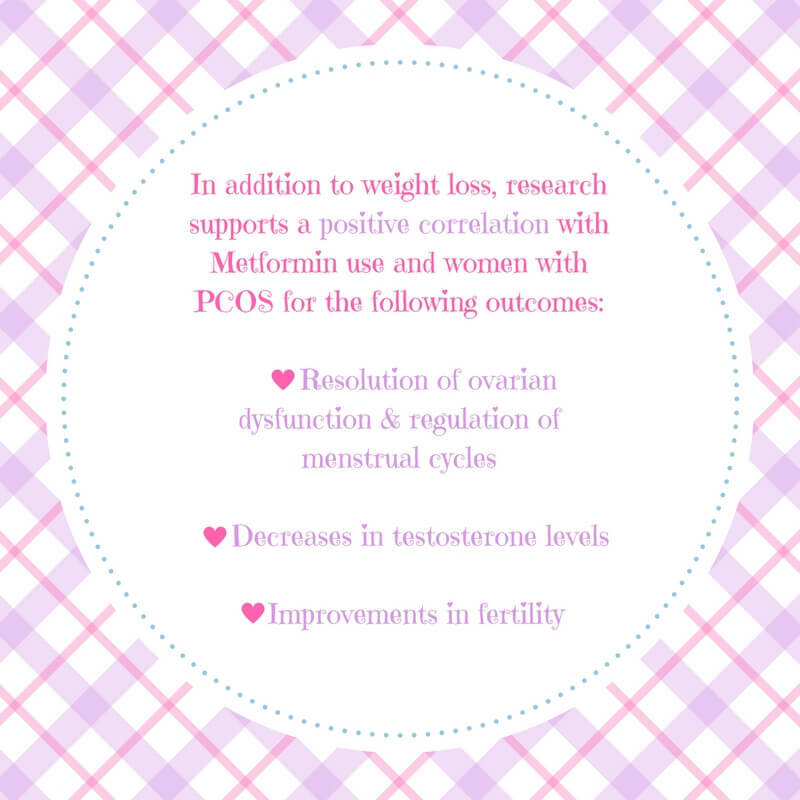 Did you know that weight loss can help with improving almost all the symptoms of PCOS? 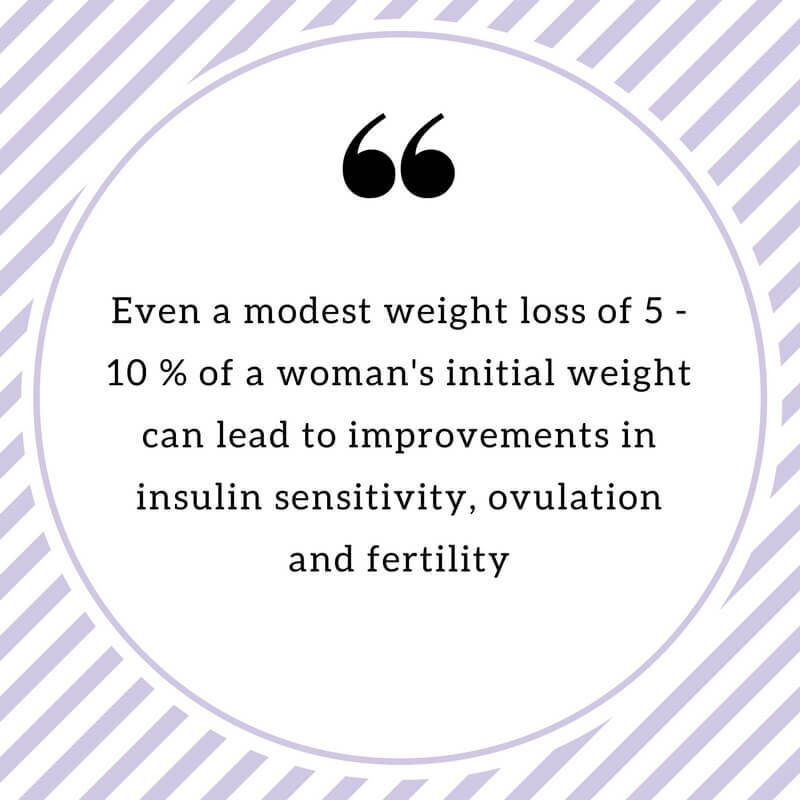 Even a modest weight loss of 5 – 10 % of a woman’s initial weight can lead to improvements in insulin sensitivity, ovulation and fertility! But, I know this is easier said than done. Weight gain and weight loss are two of the most common issues women with PCOS are forced to deal with. 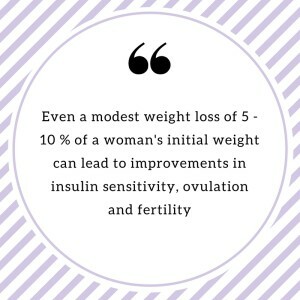 I truly believe insulin is one of the most important hormones in controlling weight! Your pancreas secretes insulin to regulate your blood glucose levels. 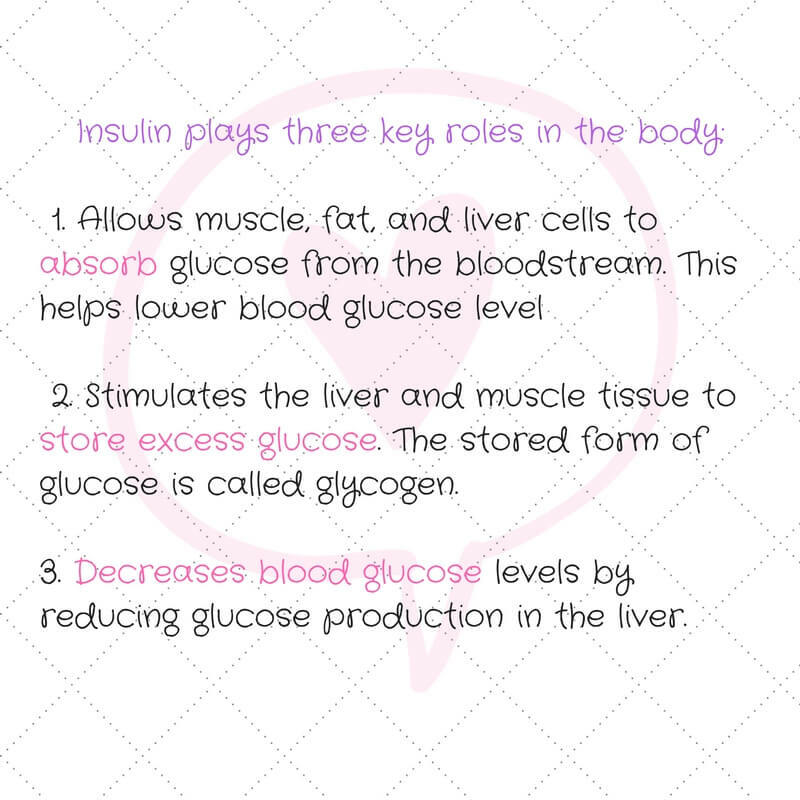 In most individuals, insulin helps lower one’s blood glucose levels by shuttling glucose into the cells where it can be used for energy. However, most women with PCOS do not effectively process glucose. They experience what is called insulin resistance.Their bodies are less sensitive to the effects of insulin. In response, the pancreas dumps out even more insulin, leading to high insulin levels, or what is known as hyperinsulinemia. High levels of insulin signal to the body that energy is abundant. In turn, rather than use the extra energy as fuel, women with PCOS store excess glucose as fat. Therefore, one of the biggest keys to controlling weight is to regulate blood sugar and control insulin levels. This is best accomplished through a moderate carbohydrate diet supplemented with the insulin sensitizing agent metformin. 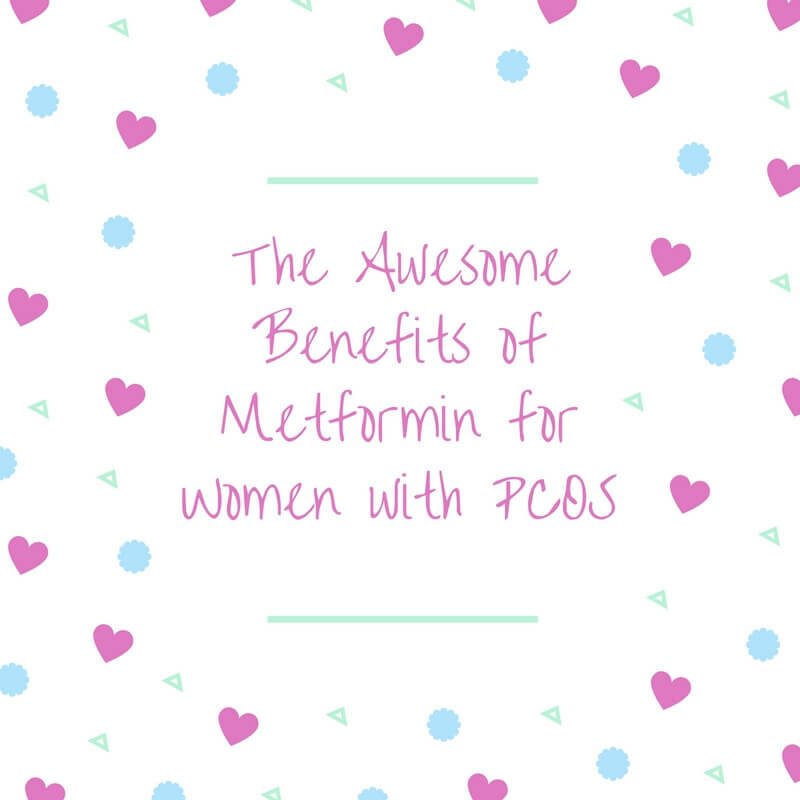 If you are not already familiar with the benefits of metformin please read my previous blog post which will bring you up to speed. 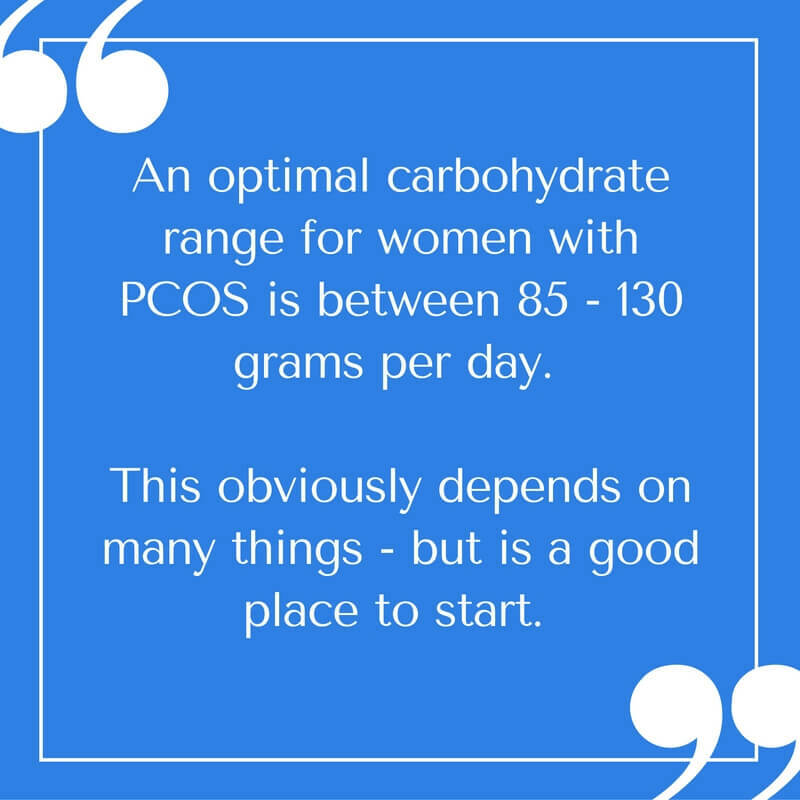 Women with PCOS have been shown to have a slower metabolic rate. This is based on many factors but the primary one being the amount of body fat women with PCOS tend to carry. Your metabolic rate is the number of calories you need for your body and organs to work. You see, body fat is what I consider metabolically “dead.” It does nothing for you but kind of just hang there. Muscle on the other hand is very thermogenic. It burns more calories than fat does – even while at rest. In fact, muscle tissue is about 8 times more metabolically demanding than fat. A higher percentage of lean body weight (muscles) results in a higher metabolism compared to people of the same weight with a lower percentage. 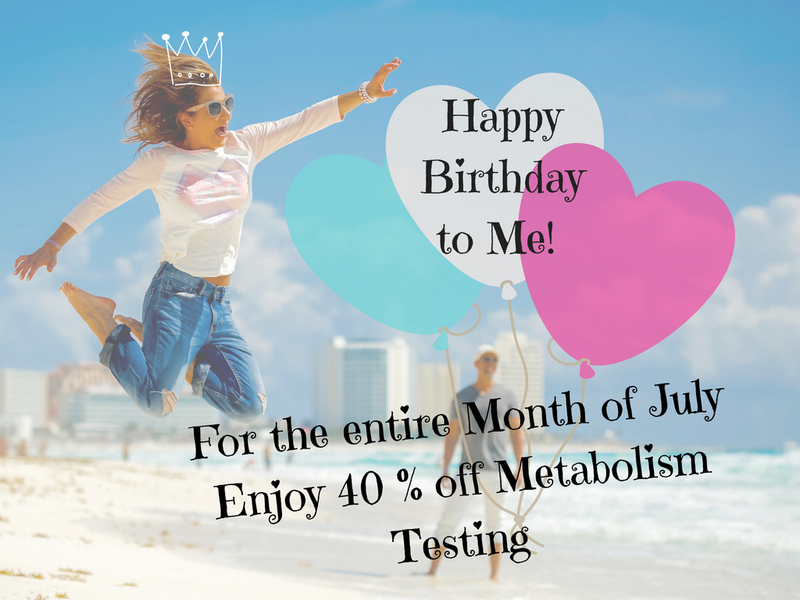 If you are curious what your metabolic rate is and you live in the Connecticut area shoot us an email at amy.plano@yahoo.com. 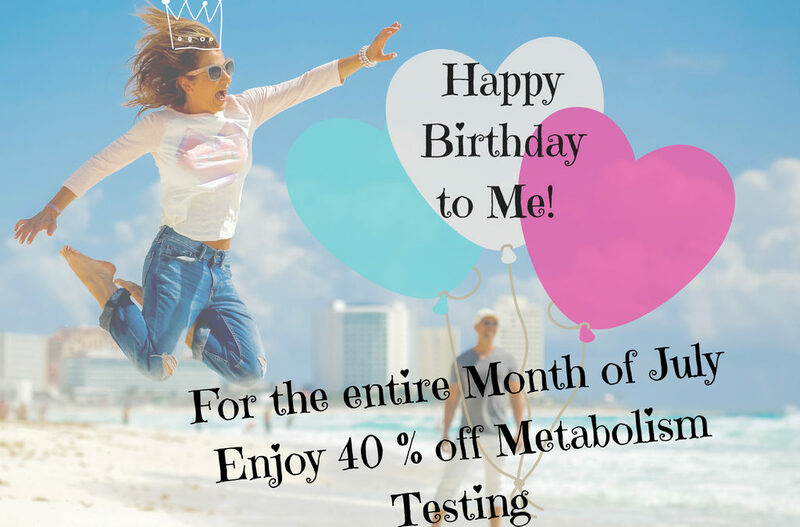 We can set up a time to test your metabolism. We have a device called the Bodygem which tests your metabolism by using a simple breathing device. The Bodygem is the “gold standard” of metabolism testing devices. Don’t believe us ? Click here bodygem validation to review the research. The cost of the test is $150.00. You must be fasted, with no caffeine or exercise for 4 hours before the test. There are a number of hormones involved with hunger and appetite control. Ones of particular interest for women with PCOS are leptin, cholecystokinin (CCK) and insulin. 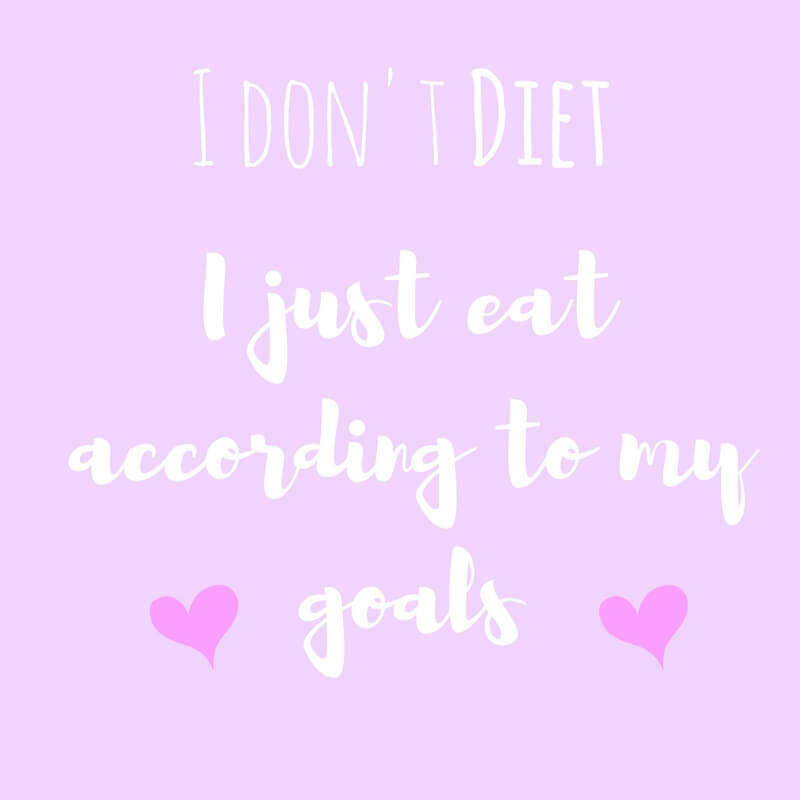 These hormones are responsible for signaling to the body to tell it that is it full and to “stop eating.” Research has shown that women with PCOS have altered hormone signals, which may lead you to feel constantly hungry even when you are consuming enough calories. This leads to overeating, increases in body fat and overall lower esteem. Not a winning combination for weight loss. Did you know that your fat cells produce hormones? This is one reason women who carry a significant amount of body fat often have hormonal problems. One of the hormones produced by your fat cells is leptin. This hormone sends a signal to the hypothalamus gland in your brain when fat cells are full. Due to the fact that cells produce leptin in proportion to their size, overweight women with PCOS also have very high levels of leptin. Given the way leptin is supposed to work, women who are overweight and have PCOS should have a diminished appetite. But we know this is not the case. You can have a lot of fat making a lot of leptin, but it doesn’t turn the hunger valve off. The brain isn’t listening. No drop in appetite. In fact, your brain might even think you’re starving. This because as far as it’s concerned, there’s not enough leptin! So you get even hungrier. This condition is known as leptin resistance. This causes an up regulation of appetite. This supports why women with PCOS tend to constantly be hungry despite taking in an ideal amount of calories. Therefore, it may come at no surprise that women with PCOS often feel less satisfied after a meal than women without PCOS. This can be attributed to the hormone cholecystokinin (CCK). CCK is responsible for telling your body you are full after a meal. Women with PCOS are reported to secrete less CCK in response to a meal. So, if your CCK levels are lower, this means you will be hungrier after meals despite just eating. It has also been speculated that impaired CCK secretion may play a role in the greater frequency of binge eating in women with PCOS. Lastly, insulin also acts as an appetite stimulating hormone. You may already be familiar with the concept of insulin resistance and PCOS. If you are not click here to brush up on your knowledInsulin resistance occurs when there is a lot of insulin being produced (such as, with many women who have PCOS), but the body and brain have stopped “listening” to insulin’s effects. The scenario becomes : you eat, your body releases insulin, but your body still tells you to eat more. So you eat more and increase the likelihood of storing the food you do eat as excess body fat. And if this is not bad enough – you rarely feel satisfied.Therefore, high levels of insulin may be one of the many reasons why you may experience more hunger than other people. Higher hunger levels inevitably leads to more eating which results in weight gain. Just because it is harder to lose weight, doesn’t mean it is impossible. Here are some tips on how to take the bull-by-the-horns and make your hunger hormones work for you! Do your best to have protein at all meals, but especially at breakfast. Breakfast sets the “appetite tone” for the day! Therefore, consuming high-quality protein sources such as eggs, Greek yogurt or cottage cheese with some nuts will help reduce your hunger hormones and keep your appetite at an even keel throughout the day. Stay away from refined-carbohydrate-only meals and snacks such as cereal, a bowl of pasta, crackers, chips and starchy snacks. Even having a healthy snack such as fruit alone can trigger a spike and an immediate drop in insulin, so add some nuts, a piece of cheese or Greek yogurt to your fruit. Fiber is deeply tied to satiety. High volume, low-calorie, nutrient dense foods delay gastric emptying keeping food in the stomach for a longer period. Therefore, do your best to include foods such a vegetables, high fiber cereals, fruit and legumes to keep hunger at bay. The goal is aim for 25-30 grams of fiber spread throughout the day. People who are overweight tend to release too much of a group of molecules that the body uses to combat inflammation. These molecules reduce leptin’s ability to communicate with the brain. They are thought to be one of the underlying causes of leptin resistance. 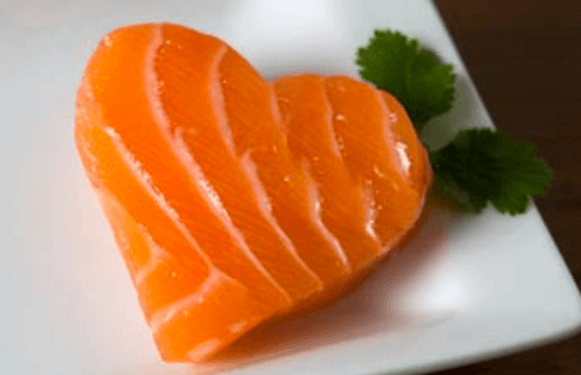 Omega-3 fatty acids decrease the production of these molecules by reducing inflammation in the body. The body does not produce omega-3 fatty acid therefore you must get from the diet. Foods high in omega-3 fatty acids include grass-fed meats, walnuts the fattier fish salmon, anchovies, sardines, mackerel, trout as well as chia seeds, flax seeds, summer squash and kale. Aim for about 800 – 1000 mg per day. 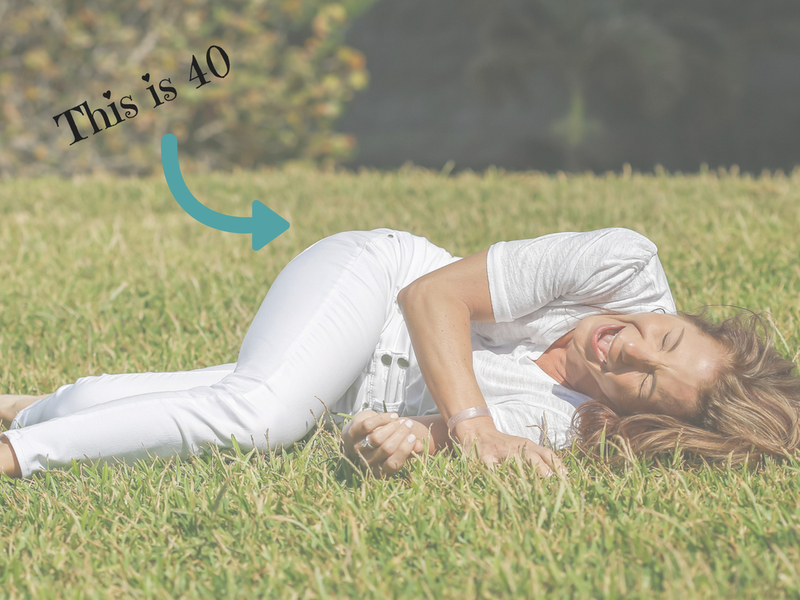 While the hormones that effect and control your hunger might be seen as complex, the three I’ve just discussed are keys to to unravelling this complicated web of PCOS, hunger and weight gain. As you can see, there are many factors at play, beyond just your determination to eat properly. 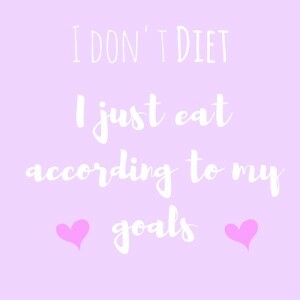 These are factors I want you think about when you become frustrated with your PCOS and weight gain.What is important to understand is that your behavior around eating is not always something you can always consciously regulate. Be confident and believe in yourself. Weight loss may initially be a struggle, but with the proper approach I am confident you can do it! 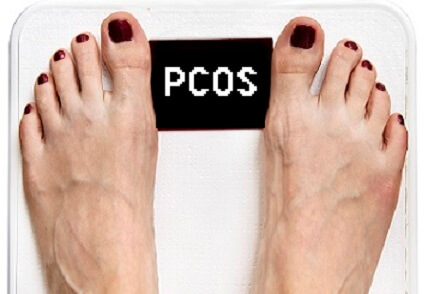 There no denying it – most women who have PCOS are overweight. While we are not entirely sure why this population tends to be more overweight than not – we cannot deny the evidence. 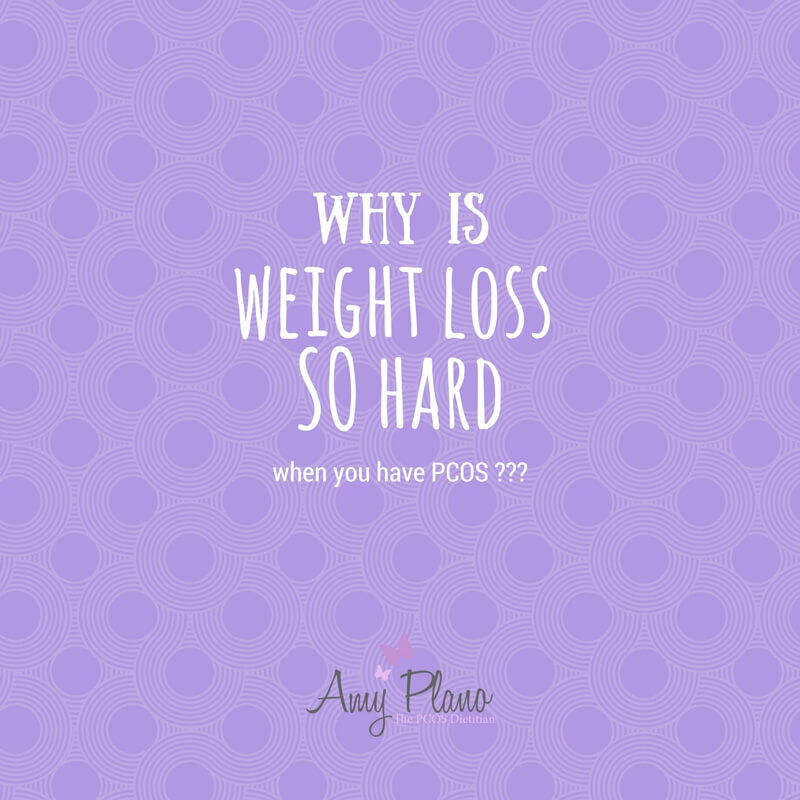 The number one reason why people come to see me when they have PCOS is for weight loss. 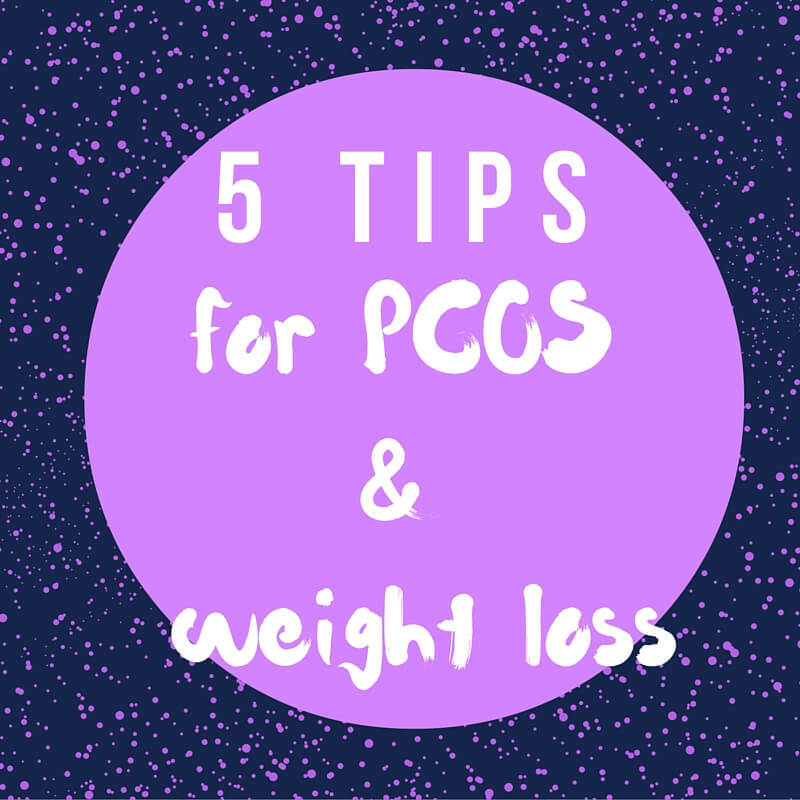 Therefore, I thought it would be helpful to put together my top five tips for losing weight when you have PCOS. I feel like I could go on and on about this topic – but I decided to keep it short and sweet – like me! Most women with PCOS are very sensitive to carbohydrates. For some cysters, they just look at a food containing carbohydrates and they gain weight! Therefore, rather than count calories – count the amount of carbohydrates you consume on a daily basis. For most women with PCOS a good range is about 85 – 130 grams to support weight loss. Women with PCOS benefit from consuming lean sources of protein throughout the day. 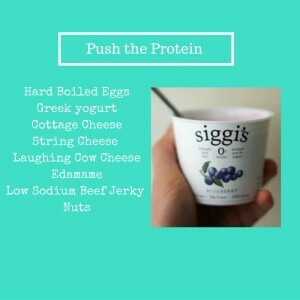 Examples of lean sources of protein include foods such as Greek yogurt, eggs, egg whites, low-fat cheeses, chicken, lean cuts of steak, lean ground beef & turkey, as well as some cuts of pork, white fish and low-sodium deli meats. Protein takes longer to digest and allows women who have PCOS to feel full for a longer period of time. 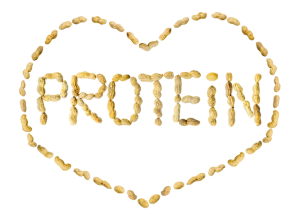 Protein also helps stabilize blood sugar levels in women with PCOS that in turn helps to curb cravings. I see too many women who have PCOS and are fat phobic. It drives me nuts! No pun intended. Fat shares many of the same weight loss principles as protein. It delays gastric emptying, stabilizes blood sugar and plays a key role in hormone production. Aim to consume healthy fats such as nuts, seeds, avocados, olive oil, and natural nuts butters. I like to see about 30 – 35 % total daily calories coming from healthy fats to help facilitate weight loss in women with PCOS. Depending on the calorie level you are following this comes out to around 45 – 65 grams of fat per day. 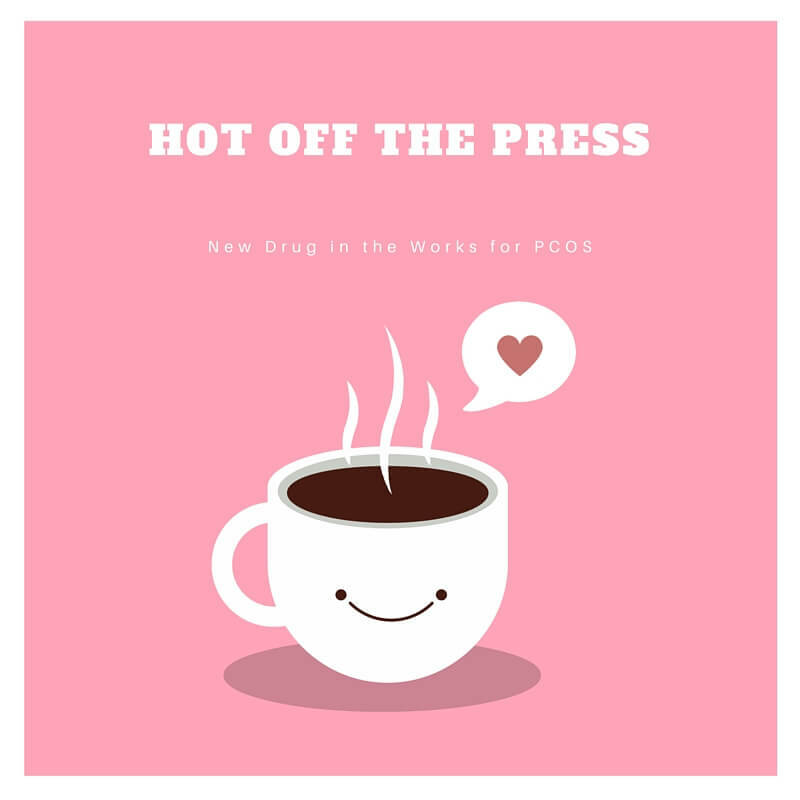 Hip-Hoo-Horray for Fats for Women with PCOS. Many women who have PCOS suffer from fluctuations in their blood sugar that can cause them to feel weak, tired, light-headed, and irritable. These symptoms are exacerbated when they skip meals and go long periods of time without eating. Sound like you, cysta?!? You have likely heard the saying, “Fail to plan, plan to fail.” Do your best to consume a meal or snack every 3 hours. This helps prevents you from becoming hangry (and we don’t want that – do we?) and eating anything that is not nailed down. Take the time to establish regular eating patterns and you will be glad you did. “I am so pissed I planned and prepped my meals and snacks,” said no cyster ever. Veggies are chock full of vitamins, minerals, phytonutrients and fiber. There are so many awesome properties of fiber. Fiber helps keep you full, optimizes cholesterol levels and helps control large rises insulin when you eat. Sounds like the trifecta of weight loss! Aim for about 30 grams of fiber per day. You can consume unlimited amounts of non-starchy vegetables to help meet these requirements. The only vegetables you need to count towards your carbohydrate count are peas, corn, potatoes and the winter squashes. Any other vegetables you can consume in unlimited quantities. So rock those veggies and reap the weight loss benefits of fiber. I was really struggling to keep it at five key points for you cysters. The tips for women who have PCOS seems infinite in my mind – but I had to choose the one I felt were the most important. I hope you learned something about where to focus your attention when it comes to weight loss and PCOS. While I know it is not easy – I am confident with the right resources you can AND will lose weight. And always remember — you are so much stronger than you think. Gosh, I know YOU must be chock-full of tips for weight loss. I would love to know what tips you have found helpful for weight loss and PCOS. Please share them with our community in the comments below. Wow cysters this is HUGE! Finally some promise on the horizon for treating women with PCOS. A new PCOS drug has just completed a phase 2 clinical trial. And the results seem quite promising! Yay – Hooray! Will this drug help “cure” PCOS? While there is no solid consensus for what causes PCOS, we do know there are several trends that exist in this population. One of these trends is that women with PCOS tend to present with higher than normal levels of Luteinizing Hormone (LH) and elevated testosterone levels. It is the “pulse” of these two hormones that is speculated to be responsible for both the absence and abnormalities seen in the menstrual cycles of women with PCOS. This new PCOS drug has the potential to correct these hormonal abnormalities. However, the data is preliminary and much more extensive testing is required. Also due to the fact that PCOS is a syndrome, it is unlikely any single drug would resolve the myriad of symptoms many women with PCOS experience. When should we expect to see the new PCOS drug on the market? It is important to note this PCOS drug has just completed the second of three phases of rigorous testing. In the third and final phase, the drug will be tested in a much larger, diverse population of women with PCOS. Currently the stage 2 phase only examined the effects of the drug after 7 days. In order to successfully reach the market, the new PCOS drug will need to under go much more clinical testing. We can likely assume that the investigators will be interested in the long-term effects of this drug as well as whether or not it can be used side-side with the administration of fertility drugs. But it is likely several more years before these studies are complete. Here is a link to the article. You can click on the actual trial within the press release to examine the various treatment protocols and study demographics.